Manufacturers | Air & Hydraulic Equipment,Inc. Click on Manufacturers Logo to learn more about their products and services! AAA Products is a manufacturer of directional control valves, Jiffy drilling, Jiffy Tapping and production rod threading machinery. They specialize in unique applications be it one or a thousand valves. Accumulators, Inc. is an American manufacturer of Bladder Accumulators, Piston Accumulators, Diaphragm Accumulators, and accessories. Adaptall specializes in the conversion of hydraulic adapters and fittings, between International (“Metric”) and American (“Imperial”) thread types. AIRpipe is a provider of superior performing compressed air, vacuum, and inert gas piping systems. AIRpipe manufactures their own aluminum pipe and fittings for compressed air, vacuum, and inert gas piping systems. The Parker Airtek brand manufactures the highest quality, most reliable and best performing compressed air treatment equipment in the industry. Anchor Fluid Power is a manufacturer and supplier of high quality flanges, split flange adapters, weld couplings, ball valves, and inline valves for hydraulic systems. Anderson Fittings works for OEMs and specialty product providers in need of innovative component developers to manufacture custom brass and copper components. Baldor, as the US Motors and Generators Business Unit of ABB, ABB Motors and Mechanical Inc. markets, designs, manufactures, and provides service for industrial electric motors, generators and mechanical power transmission products. Manufacturer of Pressure Switches, Valves, Temperature switches, Pressure Transducers, Electronic Pressure and Temperature Switches and Level Control Products. Brennan Industries, Inc. manufactures hydraulic and pneumatic fittings, and adapters. It provides flange fittings, materials, tube fittings and adapters, o-ring face seal fittings, flare less bite-type fittings, metric fittings, and flow components. Camozzi USA offers high quality pneumatic fittings, pneumatic valves, ISO Cylinders and FRL’s. CCS Dual Snap. Manufacturer of pressure, flow and temperature switches for airborne, aerospace and industrial uses. Champion Pneumatic offers oil lubricated rotary compressors, oil-less or oil free compressors, reciprocating compressors, air treatment products, condensate management, lubricant, compressed air piping, and more solutions for the pneumatic industry. Clippard MiniMatic is a manufacturer of pneumatic cylinders, air preparation equipment, valves, fittings, hoses & tubing. Comatrol is a manufacturer of hydraulic cartridge valves, manifolds, and custom HIC’s. CPC is the leading innovator of quick connect / disconnect couplings, fittings and connectors. Bio, medical and industrial rated. Curtiss-Wright Valve Group provides specialized and innovative valve technologies to the power generation, oil & gas, petrochemical, defense and industrial markets worldwide. Daman Products offers a complete line of manifolds, subplates, adapters and cover plates that meet all ISO and NFPA standards. Delta AC Drives is a manufacturer of Inverters, AC Drives, Variable Frequency Drives, Adjustable Speed Drives, Tension Controls, VFD’s, Winder Control Systems, DC Drives, AC Vector Drives, Open Loop Vectors, Closed Loop Vectors, Encoders, Resolvers, Extruder Retrofits, Motor Controls. Deltrol Fluid Products designs & manufactures in-line accessory hydraulic and pneumatic flow, needle, and check valves. Enidine Industrial Products offer the widest range of standard and custom energy absorption, vibration isolation and noise attenuation solutions available today. Firestone Industrial products offers industrial air bags, marshmallow vibration absorption, grippers, and end effectors. Foster Manufacturing is a manufacturer of cushioned clamping, quick coupling, and support systems. Hanna Cylinders is a leading designer, manufacturer and marketer of premium quality, industrial grade tie-rod and custom engineered cylinders. Concentric AB offers advanced technology oil pumps, water pumps, fuel pumps and hydraulic systems. High Pressure Equipment Company offers a complete product line that includes valves, fittings, tubing, gauges, safety devices, pressure vessels, reactors, pumping systems, intensifiers, gas boosters and pressure generators for use at pressures through 150,000 psi. Hose Power specializes in complete hose and adapter assemblies. Jomar Valve offers pluming & heating, LP Gas, Natural Gas, Industrial & Auction, and Hydronics Valves. LENZ Fittings manufacturers high-quality products such as hydraulic filters and strainers, reservoir accessories, pressure gauges, O-ring seal tube fittings, hydraulic adapters, and hose fittings. Lincoln Industrial provides heavy duty pumping products, automatic lubrication systems, and general lubrication products. Magnaloy offers Flexible Drive Couplings, Pump/Motor Mounts, Cylinder Rod End Alignment Couplers, a complete line of Fluid Power Accessories, Hydraulic Manifolds & Manifolding Accessories and Hydraulic Reservoirs. Kaman Fluid Power provides engineering, design, build, installation, integration and support services for hydraulic and pneumatic systems. 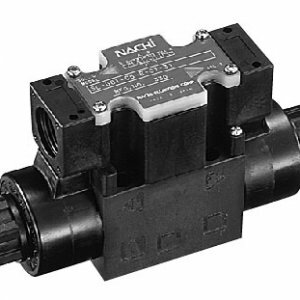 Nachi Hydraulics is a world-class manufacturer of pumps, valves, flow controls, hydraulic power units and other products. AHE is a Nachi Preferred Partner! IMI Norgren brand includes a wide range of high quality pneumatic and fluid control products such as actuators, air preparation products, pressure switches, fittings and valves. Oberdorfer is a manufacturer of rotary gear, centrifugal, rubber impeller, and chemical resistant pumps. Oil-Air Products offers cartridge valves, hose and adapter, hydraulic cylinders, lubrication, pumps, valves, and power units. Oilgear Company is an American manufacturer of fluid power and hydraulic equipment, including pumps, valves, motors, meters and other components. Peninsular Cylinder Co. offers high pressure hydraulic cylinders, hydraulic cylinders, NFPA hydraulic cylinders, and heavy duty hydraulic cylinders. Saginaw Control & Engineering is a Tier 1 manufacturer of enclosures and thermal cooling equipment. Snap-tite is a global manufacturer of hydraulic, chemical, liquid and pneumatic quick connect/disconnect hose couplings and hydraulic check, relief, directional control, and flow control valves uniquely designed for specific applications. Samoa Industrial offers workshop furniture, air operated oil pumps and kits, air operated grease pumps and kits, hose reels, metering and control equipment, mobile units, grease and oil stationary pump packages, and waste oil equipment. STAUFF is a manufacturer of pipe clamps, test points, connectors, quick release couplings, filters, valves, diagtronics and hydraulic accessories. Sprague offers a variety of air driven pumps designs, each with specific pressure ranges and design configurations to meet the demands of the high pressure pump market. Thermal Transfer Products TTP is a global leader in water cooled and air cooled heat exchangers. Offering heat exchangers for hydraulic oil cooling and compressed air cooling in a variety of industries. The TRD product line offers NFPA pneumatic and hydraulic tie-rod cylinders that are manufactured with the highest quality components that are available in a wide variety of options and modifications. Eaton Vickers is a supplier of power and motion control components such as vane and piston pumps, valves, electro-hydraulic controls, cylinders and filtration products. VP Instruments develops, produces and supplies energy management solutions for compressed air and industrial gases. Yates Industrial Cylinders is a manufacturer of hydraulic and pneumatic cylinders.